“I remain clear-eyed about the fact that, despite a reduction in tensions along the DMZ and a cessation of strategic provocations coupled with public statements of intent to denuclearize, little to no verifiable change has occurred in North Korea’s military capabilities,” Gen. Robert Abrams, commander of US Forces Korea, said during a hearing of the Senate Armed Services Committee. That assessment comes as Trump is under pressure to demonstrate progress in his diplomatic opening with Pyongyang ahead of his second summit with Kim scheduled for February 27 and 28 in Vietnam. 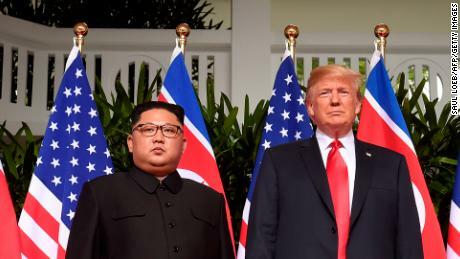 Despite saying after his first meeting with Kim last June that the nuclear threat from North Korea had been eliminated, the regime is continuing to develop its nuclear program. 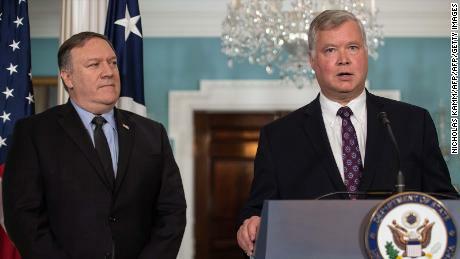 In an effort to move towards its stated goal of complete, verifiable, irreversible denuclearization, US negotiators have asked North Korea for a list of the nuclear scientists working on their weapons programs, a source familiar with the talks told CNN Tuesday, adding that the US intelligence community knows more about North Korea’s nuclear program than it does about its scientists. The request was first reported by South Korean media. The US wants to monitor the scientists because they believe they could potentially hide materials. Some experts suggest that should the denuclearization process begin, the international community should pay the scientists to dismantle the program they helped to build to stop them being hired by countries like Iran or Syria to work on their missile programs. While the US and South Korea suspended several large joint military drills as part of an effort to ease tensions with Pyongyang following the first Trump-Kim summit, Abrams told lawmakers that he has seen no significant changes in North Korea’s own exercises. “For instance, we are watching the ongoing Korean People’s Army winter training cycle, including a slate of full spectrum exercises which is progressing along at historic norms, meaning that we have observed no significant changes to size, scope or timing of their ongoing exercises compared to the same time period over the last four years,” he said. Abrams warned that North Korea remains a potent military threat despite the regime’s recent shift in tone toward the US and a lack of missile and nuclear tests in recent months. “The only observable change has been a reduction in the attention and bellicosity the regime layers onto its military activities. Since the end of 2017, Pyongyang has reduced its hostile rhetoric and halted media coverage of Kim Jong Un attending capstone events such as large-scale, live-fire training or special operations raids on mock-up aliance targets. It is, however, too soon to conclude that a lower profile is indicative of lesser risk,” his opening statement for the committee said. On Monday, scientists at Stanford University released a new report which estimates that North Korea has increased its arsenal of nuclear weapons from 30 to 37 since last year. The study notes that the current threat posed by these weapons is less than it was last year due to North Korea’s halt on testing but indicates that assessment would change should those activities start again. Abrams also injected some cautious optimism into his testimony Tuesday, touting the “palpable” reduction of tension on the Korean Peninsula. He also highlighted the announcement of a second summit between Trump and Kim as a positive sign. “If you have not been on the peninsula in a while, along the DMZ there has been significant reduction that has enabled nascent confidence building measures … its decreased the chance of mistakes, miscalculation, and its continued to preserve space for the main effort, the Department of State to continue along this road of negotiations and discussion with the DPRK,” Abrams said. “I think, my personal opinion is the announcement of a second summit between President Trump and the Supreme Leader Kim is a positive sign of continued dialog because it certainly beats the alternative of what we were living with in 2017,” he added. During his testimony last month, Coats also acknowledged that North Korea seems to have halted, for now, its missile and nuclear tests, a development Trump has touted as evidence of successful diplomacy. In that same hearing, Haspel indicated that Kim does “value dialogue” with the United States, and the US sees “indications” that he is “trying to navigate a path for some kind of better future” for the North Korean people. 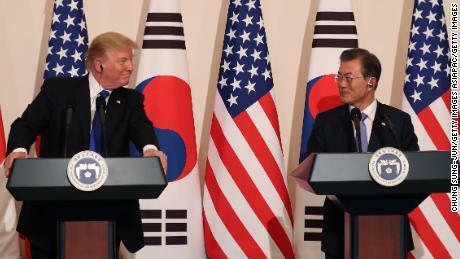 Trump has sought to emphasize the economic benefits of denuclearization since his last summit with the North Korean leader, but with their next meeting nearing, some in the administration worried Trump could raise the future of US troops in South Korea as another incentive to prod Kim along. 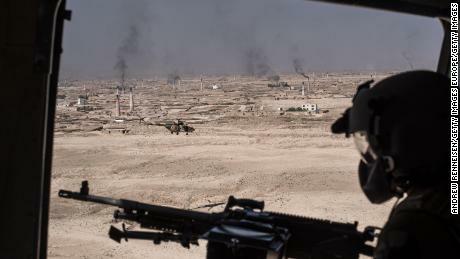 The President has long publicly lamented the cost of stationing US troops around the world and has privately pressed his advisers about the possibility of withdrawing US forces from the country. While Trump insisted earlier this month that he has “no plans” to withdraw US troops from South Korea, it was clear Tuesday that several Senate lawmakers remain concerned about that possibility despite the Pentagon’s announcement that Washington and Seoul have reached an agreement over the costs of US troops stationed on the Peninsula. Pressed repeatedly on the strategic implications of such a move, Abrams consistently reaffirmed the need for US troops to remain on the Peninsula but also highlighted the need for balance when it comes to ensuring military readiness of the forces stationed there and avoiding escalation. “We must continuously strike a balance between the clear need to train and exercise military capability and the requirement to create space for and support strategic diplomacy,” he said. The special Representative to North Korea, Steve Biegun, recently spent a few days in Pyongyang with his counterparts to work out the basic logistics for the upcoming summit in Vietnam, namely date and location. This was his first solo trip to North Korea since taking over the post more than five months ago. Despite solidifying a date and location for the second summit, all indications suggest that there is still a long way to go on the working level discussions between the two countries. The White House is not yet saying what it hopes to accomplish during the second meeting between Trump and Kim. Biegun and his counterparts have agreed to meet for another round of working-level talks ahead of the Hanoi summit.